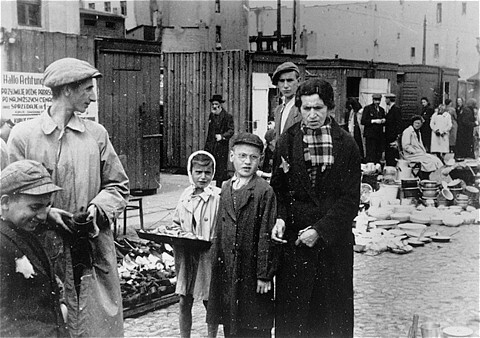 A child vendor among those selling miscellaneous wares at the market in the Lodz ghetto. Lodz, Poland, ca. 1941.